This month has already seen me try a range of different exercises to gauge what is going to help me on my weight loss journey. Some exercises are fun, some are ridiculously hard but make you sweat – mainly Insanity! As a single mum, time is one of the major factors that can hinder me. I need to find something that fits in with my schedule of working from home, housework, school related duties, after school related duties and basically just being a mum! Something that can get the job done, that is enjoyable and not a chore and does not take up a large portion of my day is the ideal solution. This is where the new Davina 7 Minute Fit exercises DVD comes in. I have always heard good reviews of the Davina exercise DVD’s, so I am excited to get cracking with the latest DVD in her range, for 2015. Featuring 10 different 7 minute workouts, including Warm Up, Fat Burner, Ultimate Fat Burner, Box Fit, Ultimate Legs Workout, Tone & Sculpt, Tone & Burn Abs, Total Stretch, Advanced Abs, FItness Challenge and different tutorials to ensure you are completing the specific movements correctly. There really is something for everyone and different levels depending on your fitness levels. With the ability to burn fat, tone up and get fit, 7 minute workouts will work if you put your all into the sessions. I will be putting the DVD to the test this afternoon and will be reporting my findings in my weekly #WeightLossWednesday post, so come back and check out how I get on! The DVD is available now, currently priced at £11.70 on Amazon. 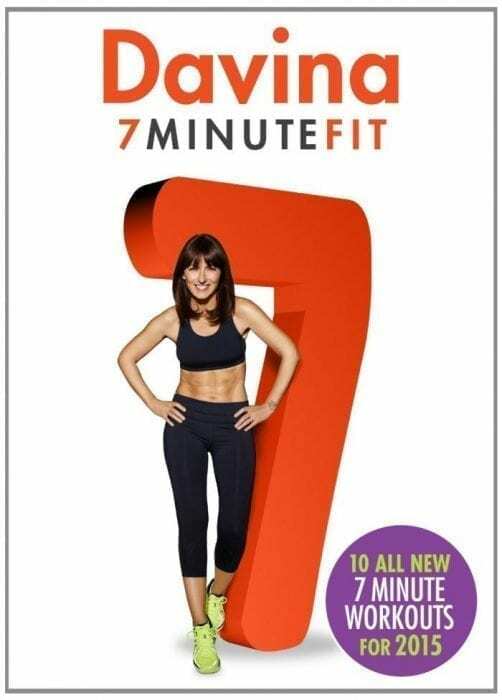 I am delighted to be given the opportunity to offer a copy of the Davina 7 Minute Fit DVD to a Sim’s Life reader! In order to enter the giveaway, simply enter with Rafflecopter below… Good Luck! Giveaway ends at midnight 30th January 2015. One winning entry will be drawn at random by Rafflecopter. The winner will be notified within 24 hours of the giveaway ending. The winner will receive a copy of the Davina 7 Minute Fit DVD. What Could Be Lurking In Your Wardrobe? I have a Davina’s Davina Fit in 15 DVD and it is great! I usually put it on every other day and on the days in between a put on my Yoga dvd as that is more relaxing. I do the Leslie Sansone walking routines and I find them very effective. I love the gym and walking, plays running around after my 2 children!! I used to love the step Reebok classes, but you don’t really see them anymore. I find a bums & tums class is a good all rounder. I like Kirsty Gallagher’s workout DVD and also Jordan’s. Walking at the moment and did 18 miles last week. Might not sound much to some but the most exercise I have taken in a week in about 10 years! 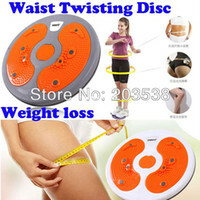 At the moment I just try and walk to keep fit – I would like to try a workout dvd though! I love Zumba but haven’t had a chance to do it since my 2nd child came along. I don’t have one, I tend to just walk and play golf but I desperately need toning! I love DVDs with quick workout options – it’s great to be able to do 10-20 minutes worth of exercise on the days where I can’t manage much more! I love to go hill walking or for a run. I’m quite partial to Wii Fit. I look ridiculous doing it but it’s fun. I was treated to Miranda miraculous last year and its fun so I really enjoy that one. I walk everywhere and go swimming 3 times a week but I feel this doesn’t push me enough. running for the bus to work!! Zumba step classes are fan!! I love dog walks but also…… shhhhhhhhh learning dance routines on youtube Lol! I try to walk every day and love it. DVDs at home – I already have all of Davina’s other workout DVDs! I do a pilates dvd 3 times a week. I tend to watch lots of fitness videos and hope that the body just takes notice. walking the dog – it tones u all over with the added incentive of being like weight training when he tries to drag you down the road after an interesting smelling car – great for toning the arms!!! Usually as little as possible, I really need something like this to motivate me. Unfortunately it’s walking between the fridge & the computer, which is why I need this! I don’t have one which is why I could do with this DVD! I have a kettlebell workout I do at the gym which was devised by my PT. I don’t really know any routines, I just walk everywhere! I really like the Yogalates series. Running around after 2 kids & keeping up with the housework….phew! I’ve been using youtube yoga videos recently. I like (hate) Jillian Michaels 30 day shred. You just can’t beat being encouraged AKA shouted at by the lady herself! I like interval training using light weights, an ab workout and plenty of cardio. I know i must sound mad….but im really enjoying the 30 day ab challenge! Walking is all I do at the minute so this would be great!!! I don’t really have one, I just dance around the house like an idiot for a bit! kettlebells .. I have Davina ones. boxercise at my local gym! A the moment only walking but hope i can increase this to include more. Swimming is my main thing due to mobility problems but I’d love to have a go at this new DVD…7 minutes is just about my limit at the moment! loL! Apart from walking, I don’t work out. I would love to try this. Everybody can fit in seven minutes a day. I stopped being a couch potato and started walking more and going to zumba and Ive lost 6st so far since May. I love a youtube video that’s around showing kettle bell exercises! It makes me giggle every time but I can actually stick to it! I swim but need something to do at home when the weather is too bad to get to the pool. Walking the dog, I have company from the dog which means walking further without noticing. I walk a lot but i really need to do more. I like dancing around with the kids and acting silly haha that’s fun. I like Zumba or clubbercise! !